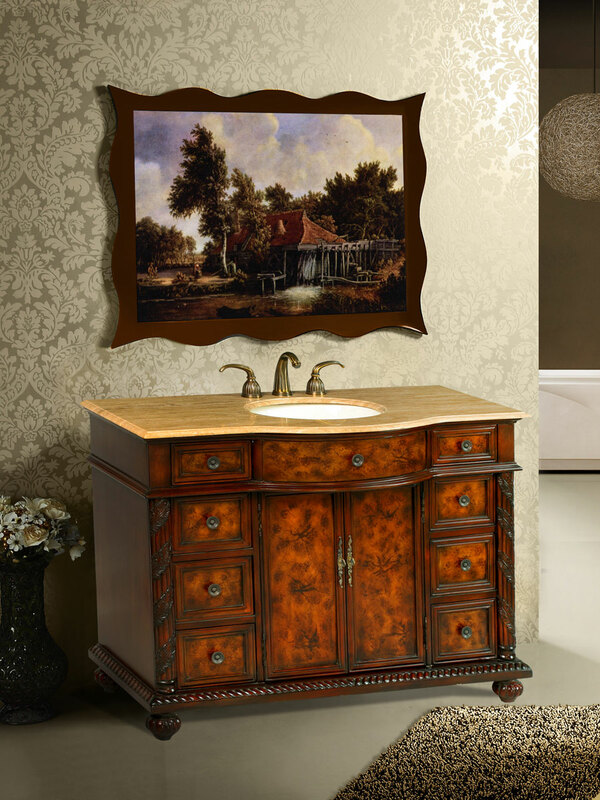 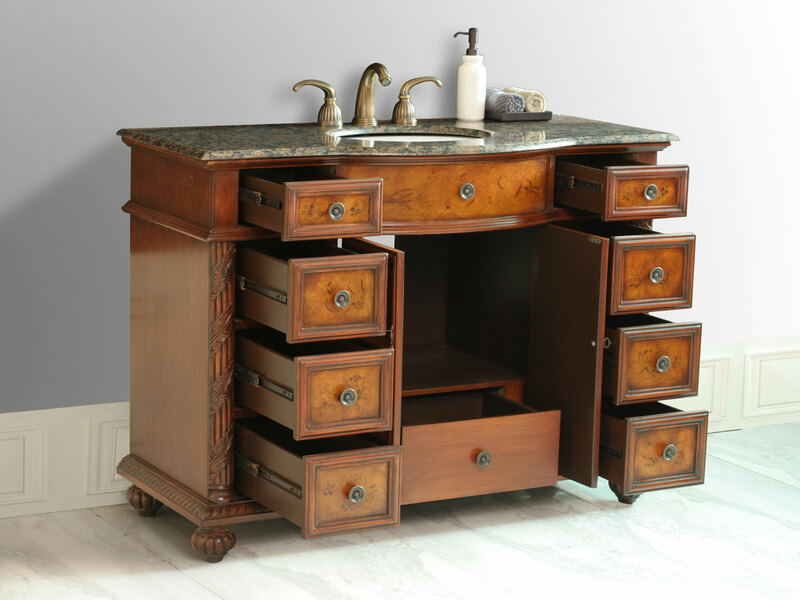 Charming and beautiful, the 48" Roosevelt Single Bath Vanity will dazzle your home without even trying. 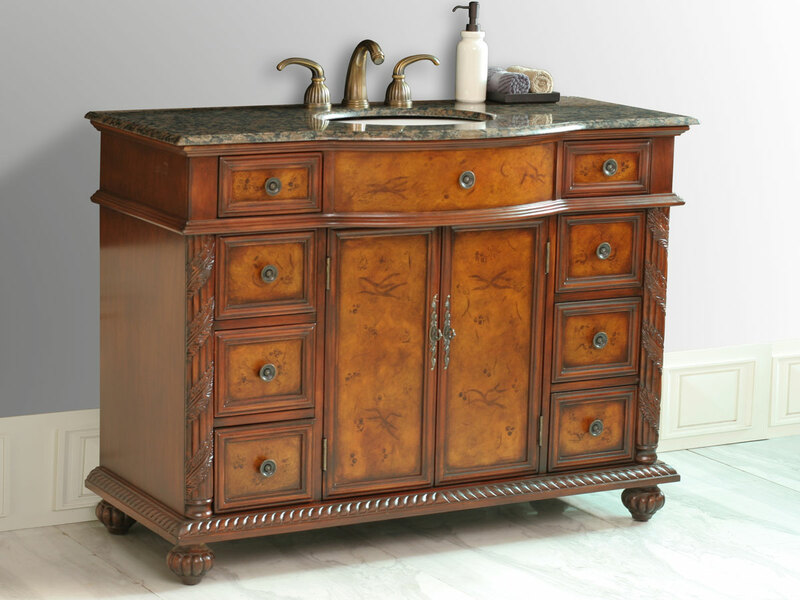 Its extraordinary Cherry finish is designed to give it an antique look, while the beautiful woodwork and carvings on the pilaster and base finishes it off. 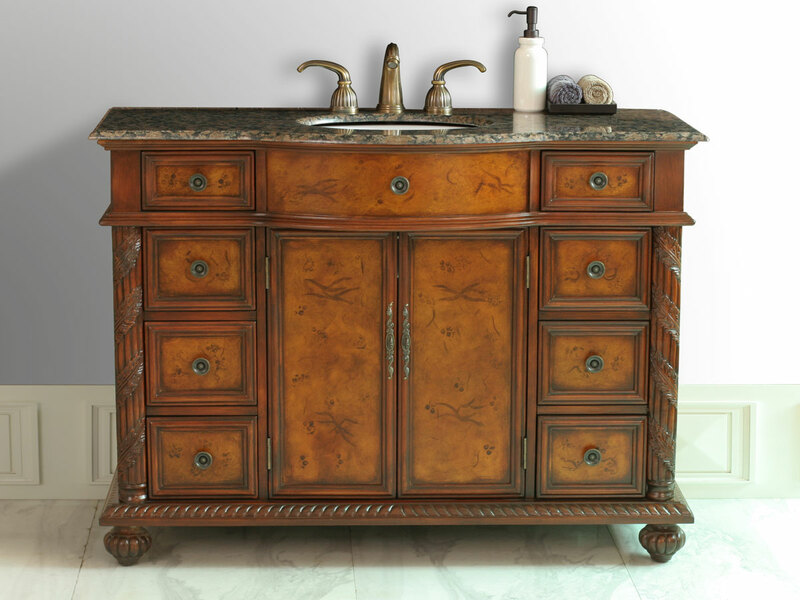 Metallic handles and knobs accent each of the cabinet doors and drawers to give it a sophisticated style. 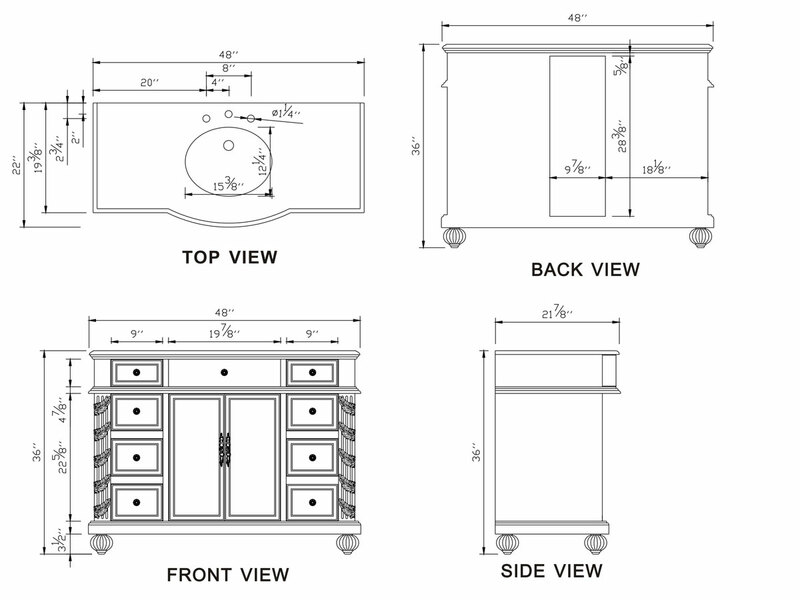 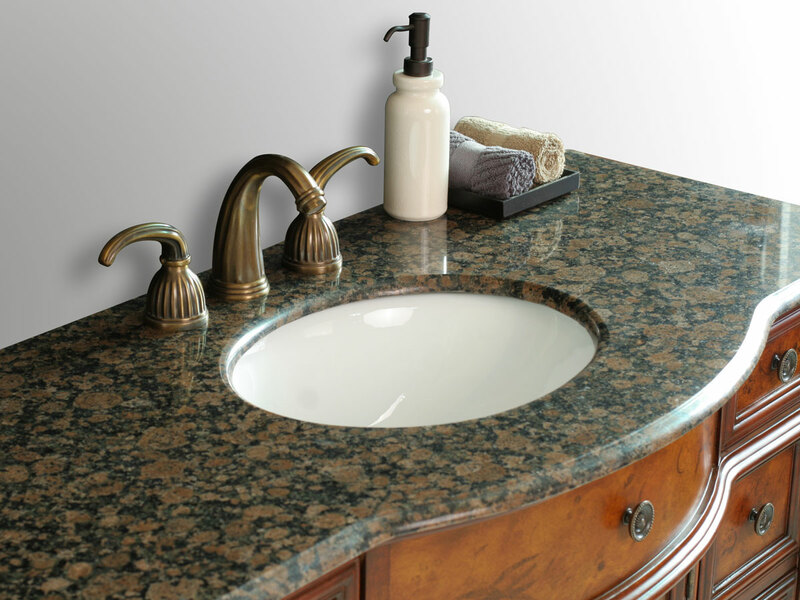 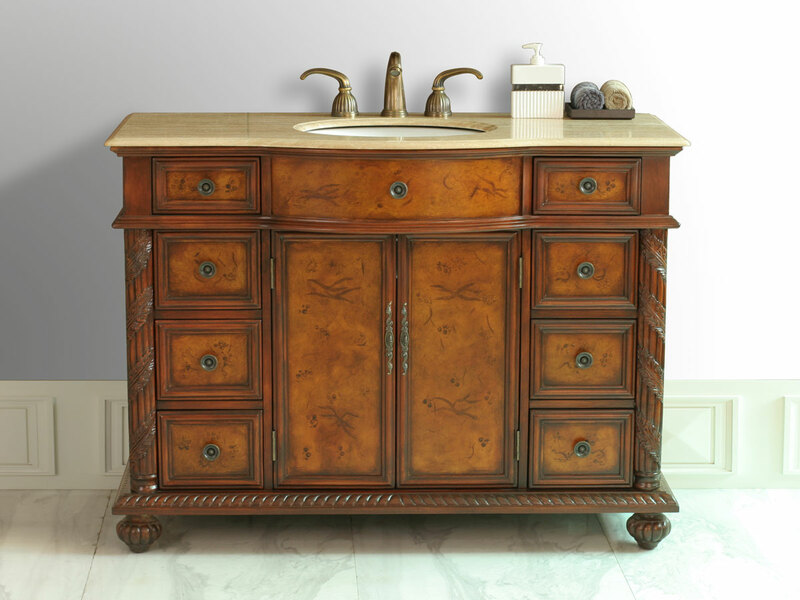 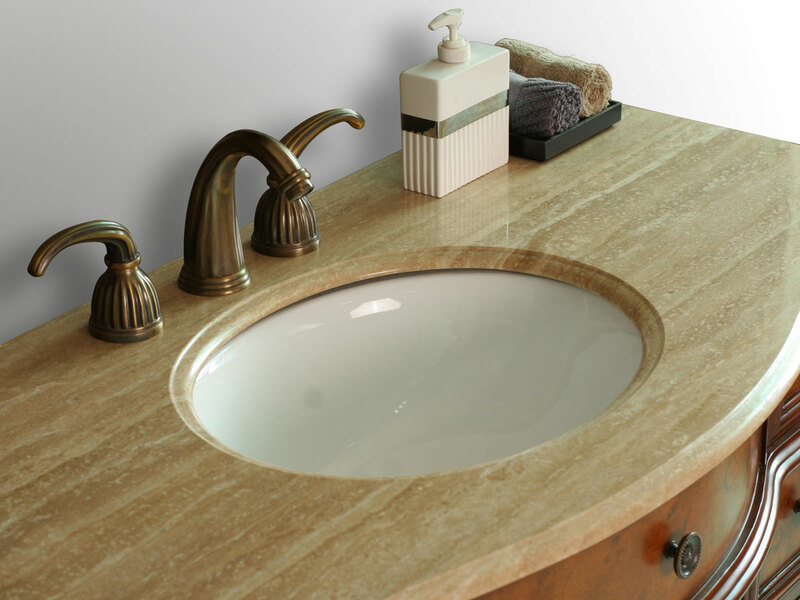 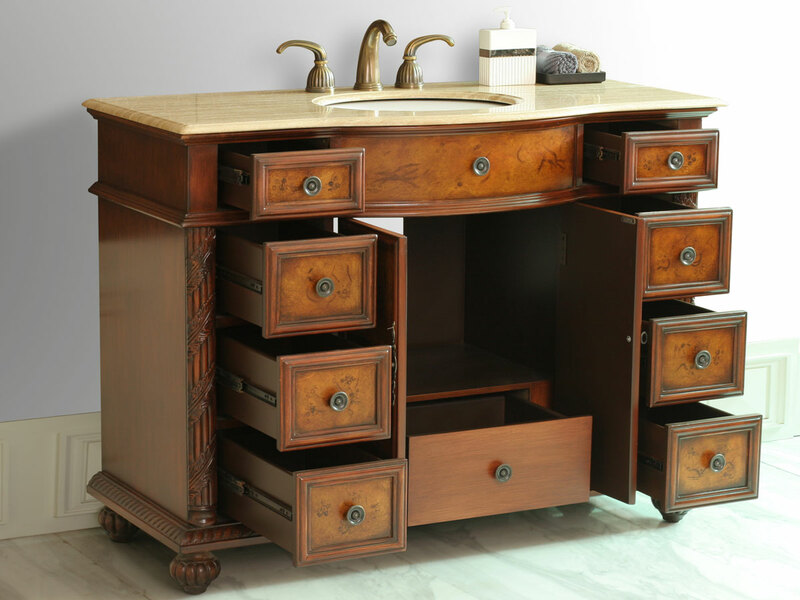 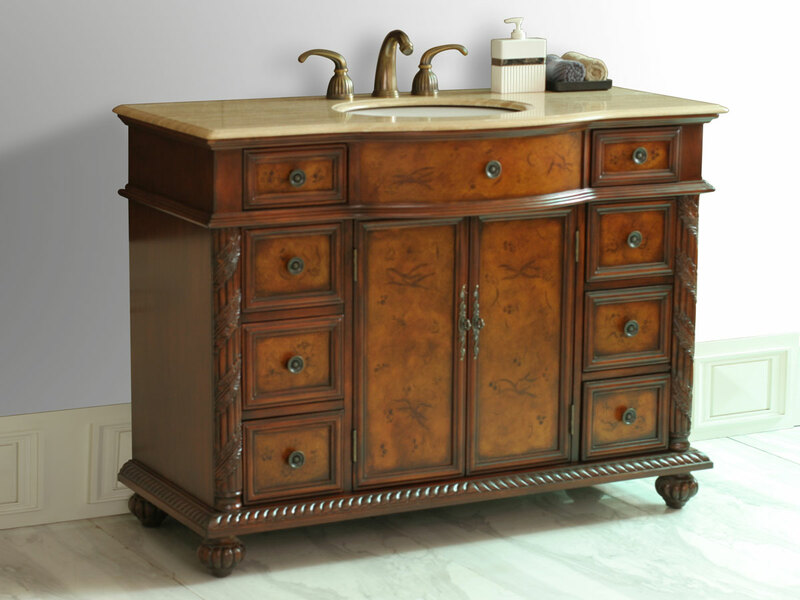 With 3 counter top options to choose from, this vanity is ready to create an aura of Old World elegance in your bathroom.